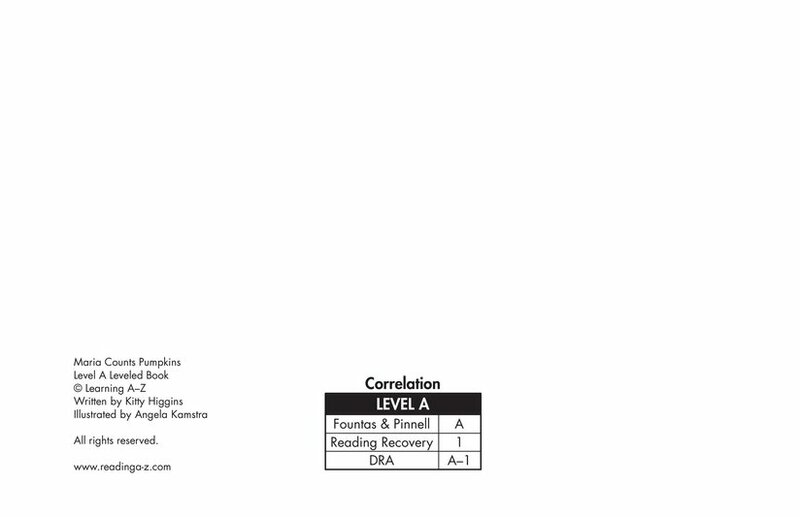 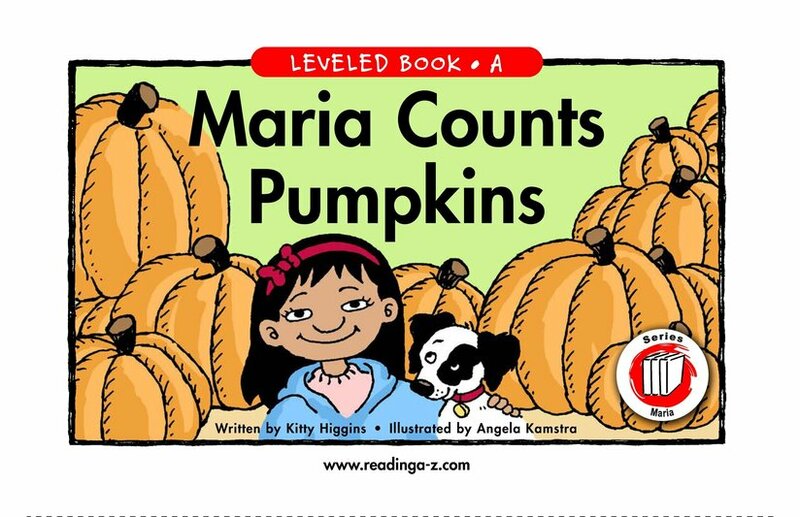 Personal Recount (fiction) 33 words, Level A (Grade K) Fiction Series. 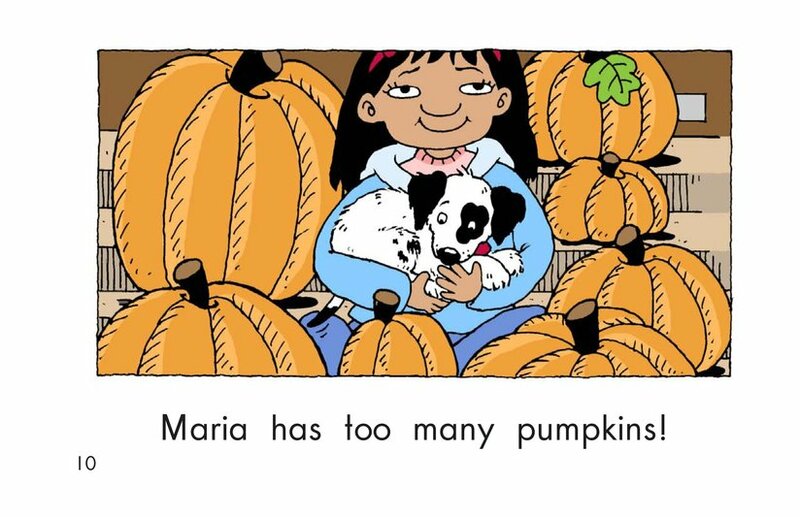 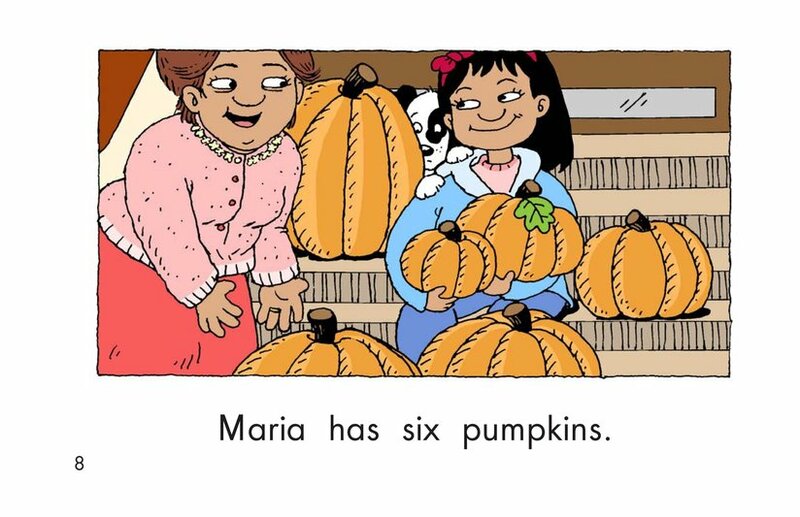 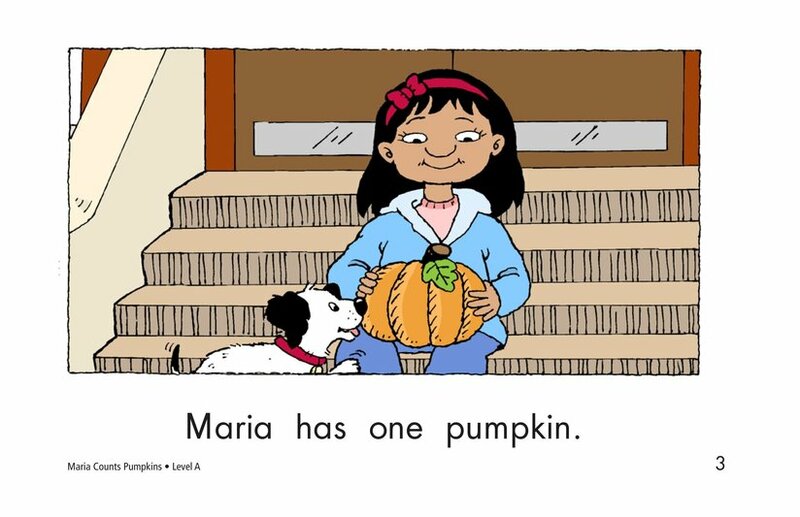 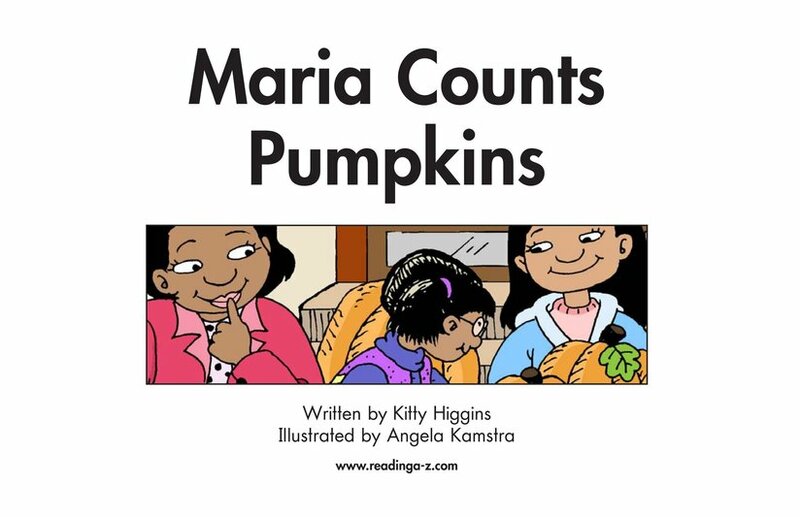 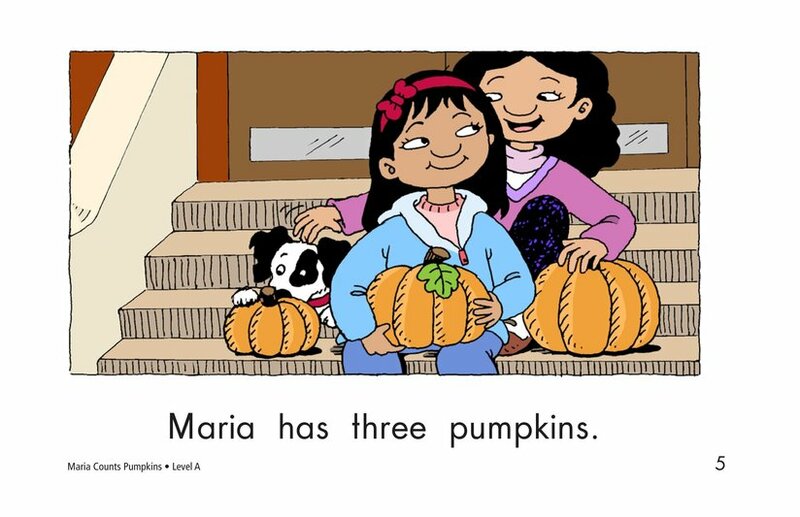 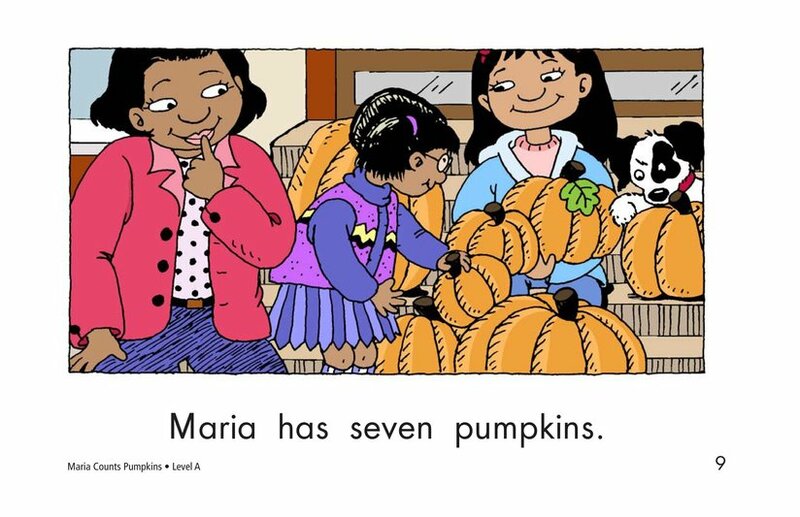 Maria is sitting on the stoop outside her apartment with her dog when seven relatives bring her pumpkins. 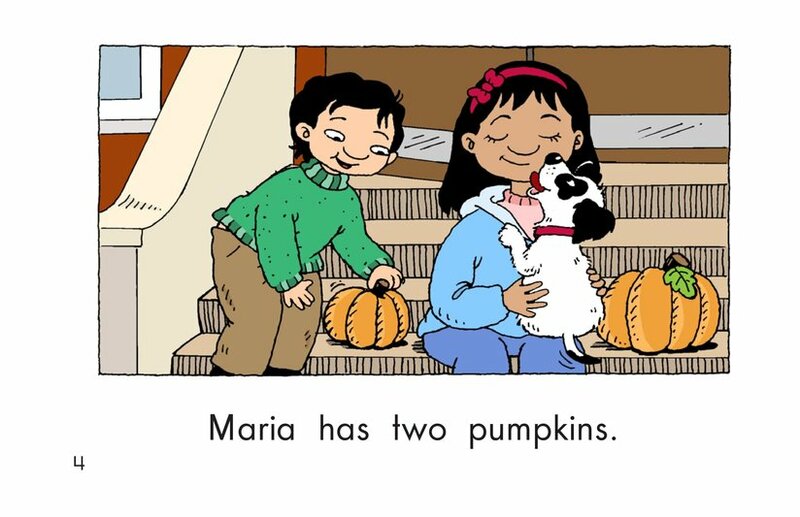 The pumpkins crowd the dog and Maria off the stoop. 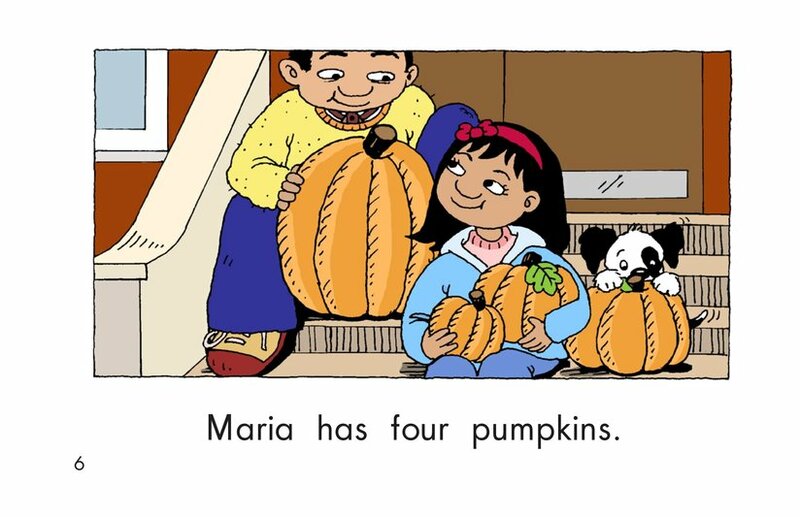 The repeated sentence patterns and pictures help early readers retain meaning and read counting words.